All right so! I'm nearly caught up on replying to everyone in blackjacksales and hope to have an update by the end of the month (I bought some Koinobori banners! They don't have Magikarp on them like the one before though). But now I have a question myself! Tiny stuff auction + sales update! [Edited on 13/6/2012] Please noticed that due to some changes in my time schedule, the ending time for this auction has been postponed to 12 hours later than the previous end time. Check out the new countdown here! Eeveelutions Battrio GA is in! Pics and extras! Just a quick one, here are your battrio! Please leave me a message with your location and whether you would like any extras, and I'll reply with your total in the morning. Up to twelve total Battrio can be sent in an envelope before postage goes up. So one Battrio costs the same to post at 12, you may as well pack those extras in! I sure as Hell don't want them! All remaining Battrio are 50 cents each, apart from holo Piplup who is $1! 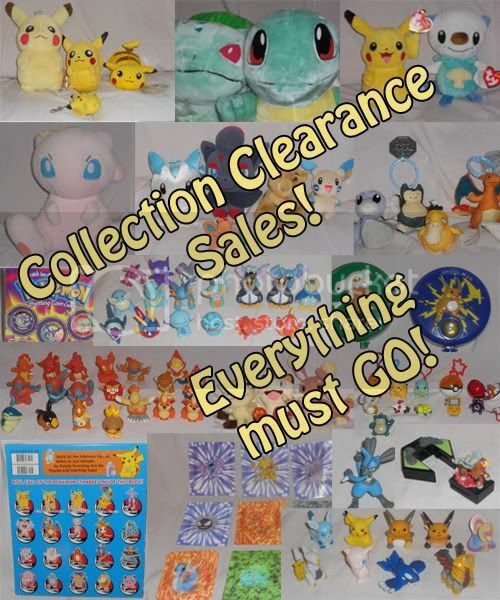 I will be posting giant mega massive sales of varied items tomorrow, so keep an eye out. Your Battrio! Bigger pics under the cut. Hello again everyone! Wow two weeks in the community and my collection has grown so wonderfully! 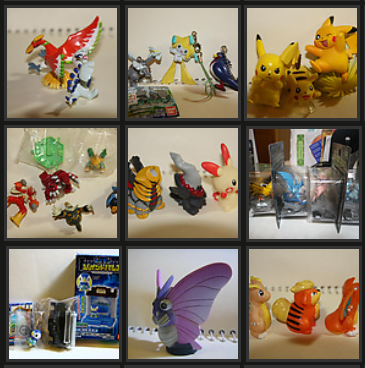 I've purchased a lot of lovely collectables from sellers here and all you guys are awesome! I am waiting on 9+ packages to be shipped and when I get them I will be taking fun pics for everyone to see :D But This week I got a totally adorable plushie in the mail! Wanna see who it is? 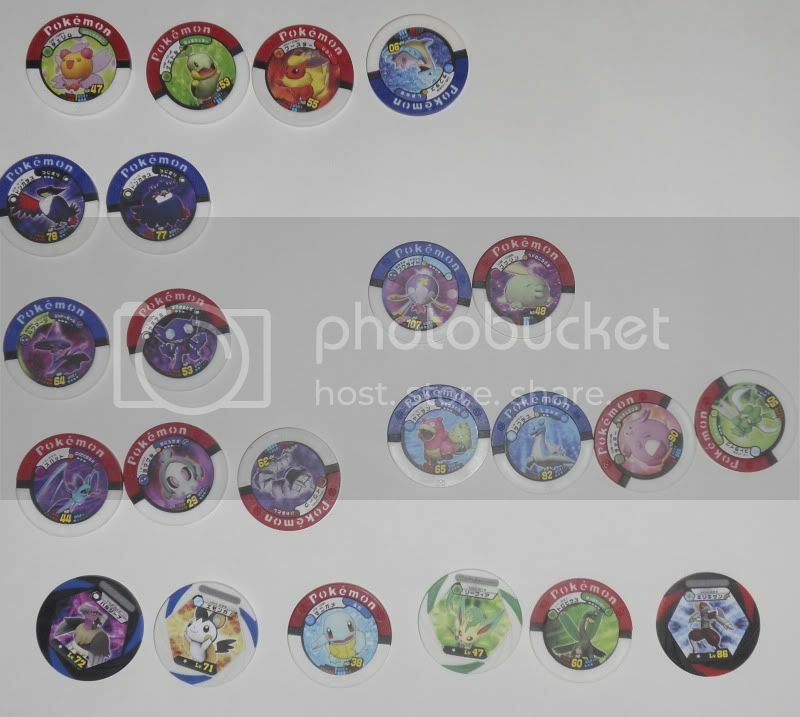 I have a rather odd question regarding some Pokemon Candy and how to display them. Does anyone have any tips for displaying candy in wrappers? My friend just sets them up beside figures, but mine usually fall down when that happens ^^;; they're the Victini movie candies. 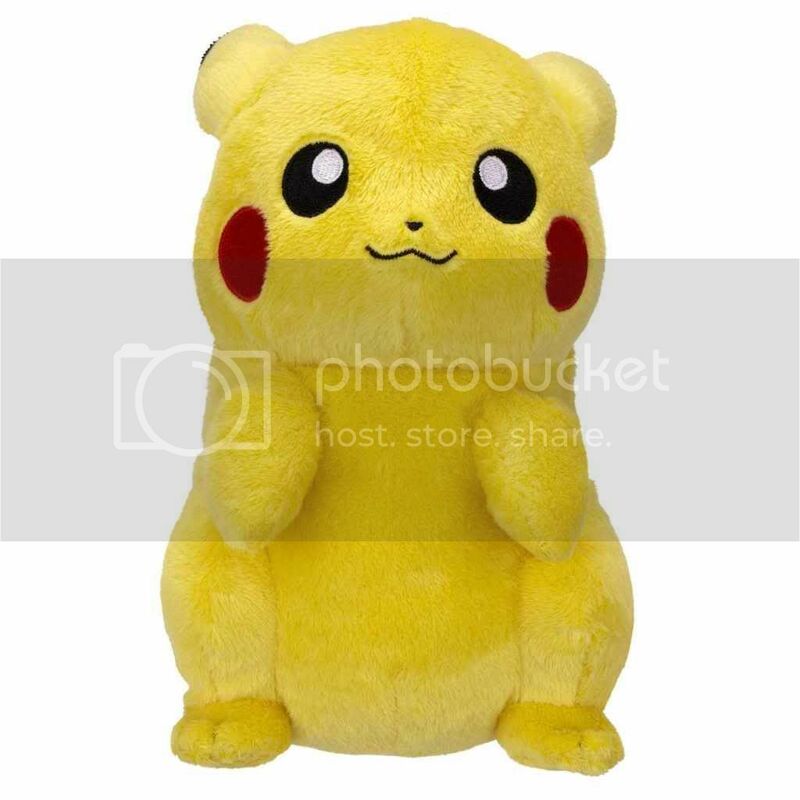 However, one thing I have not acquired in my endless hunt for Pokemon goodies is the plush I call... Pikachewy. LOOK AT THAT FACE. He looks just like a cute little Chihuahua Pikachu. XD IDK, this plush just reminds me of my own Chewy, so I have been wanting it desperately. I don't even know by now how many times I have gone to Toys R Us and sighed sadly as I rounded the corner of the Pokemon aisle and saw no bright yellow fur. 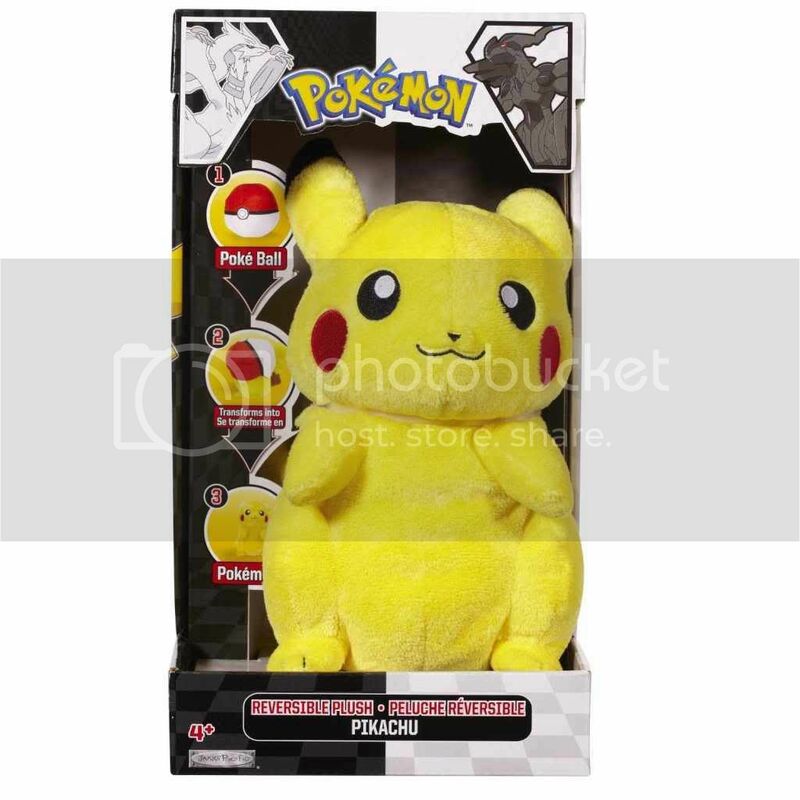 By the way, it is the Jakks B&W Reversible Pikachu to Pokeball Plush! I would really prefer Pikachewy out of the box... I am going to love him, so no box is needed. 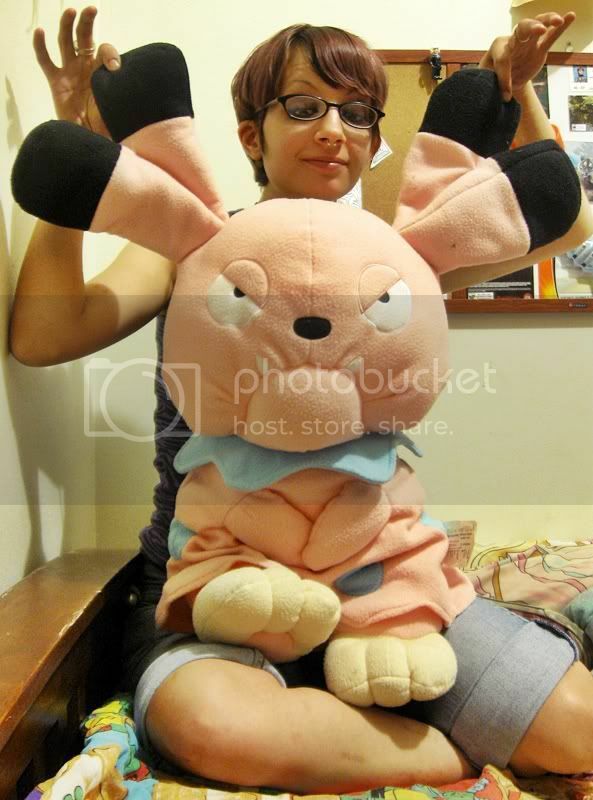 XD If someone has this plush and would like to make a dream of mine come true, you will be my hero!! And lastly, I give you a preview of my next update... me and Snub Snub. :D Oh god I love him so much! Hello community! I noticed yesterday that I haven't done an update since January, which is far too long I think! So today I'll be fixing that. Just have gotten the payment for shipping that needs to be paid for this Dragonite Pokedoll plush lot! which i still recommend ordering ASAP. do not hold off. as the post made just below shows, this line is selling out before it is even released. 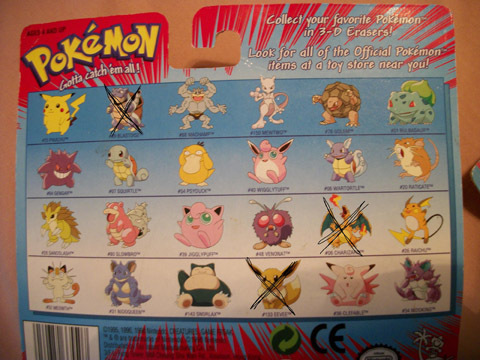 if you want to collect pokemon mate get your name on the list before they are released on the 14th or else i don't know if i will be able to get any more! just include a note in your order that you'll be combining! this time next week: black and white kyurems galore. all B2W2 release date goods will be added. if you think you might want some, just ask for a hold in your order note! two days ago i picked up 1/1 pikachus and fuzzy pika plushies! 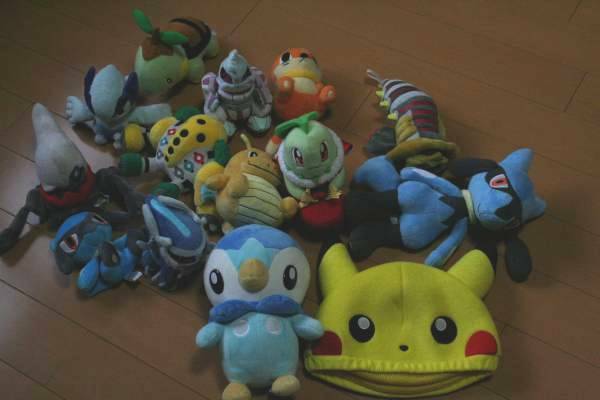 how does the 1/1 measure up to other 1/1 pokecen plush? edit: by popular demand. fluffers the 30 CM sitting pikachu with lifesize pikapal! Let's start with a collection update! I received the shipping quote on Monday,but I've been in San Jose with only my phone internet so shipping is already paid thank goodness for birthday money haha.I will still appreciate a timely payment as soon as the shipping is calculated. As you can see we got hit with a hefty shipping cost so I asked denkimouse permission to sell the extras to pay for some of the shipping to ease the pain ;u; and received it. Hey, everyone, I'm back with a couple auctions! 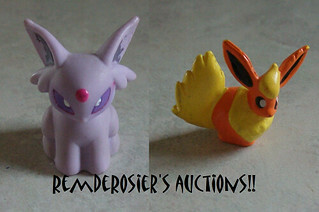 Including a rare Espeon V-Trainer! My New Room and New Gets! & New Bootie Eevee! My "bootleg" Eevee plush got here today! It's decently cute, but has noticible flaws. I would have to say that it is NOT worth the $17 price tag. but it gets very close! 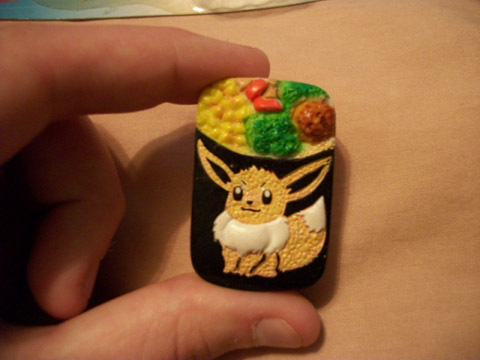 3D eraser and rare eevee auctions! All erasers start at $2! Hey guys! Sorry if im slow and unresponsive on here, I use the livejournal app which is terrible. I update from my home computer which is painfully slow. When I save up enough money I'll purchase my own computer. Anyway, on Saturday I left the house with 3 dollars to go yard sailing. And I came back with 43 pokemon plush. I got them for just $10! I had to borrow money from my Dad haha. They are all Hasbros and Jakks. Check it outt! 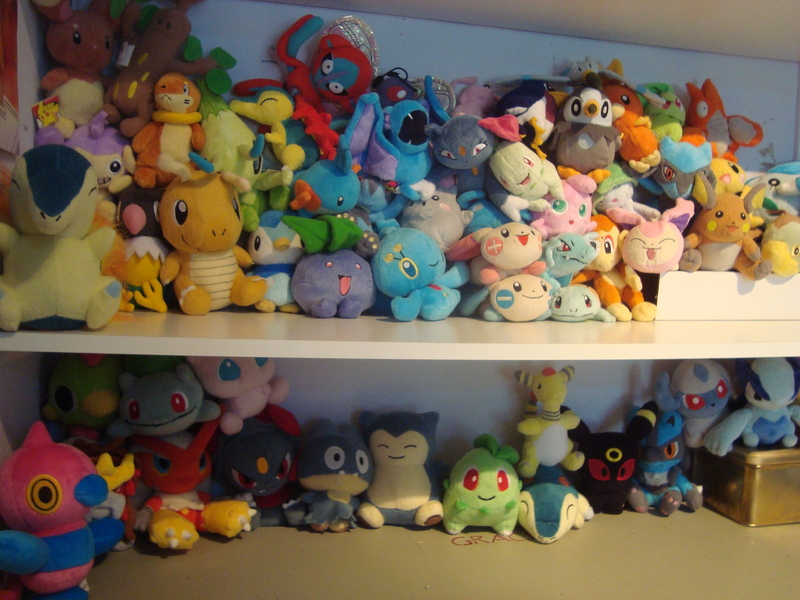 I will also be adding a huge collection update and Pokedoll reviews on my Youtube Channel. Yeah guys, thats it for today. I'd add more but this computer is being too slow and annoying. Check out my youtube for my full collection! Long time no see! Unfortunately I don't have a collection update, but I do have some things I would love to have taken off my hands! Sales permission granted by denkimouse on 4/24/2011. So I was taking pics of my pokemon items for my website http://hauntedplains.weebly.com I was Takeing a pic of the 1999 Pokemon pocket play set and my friend said is that for zukans? I said No but then I thorght why not. My site is now up and runing if you want to swap links put it in the comments. So I got a box. The box smelled pretty good. I have stuff to sell. Hey there! Just wanted to let everyone that bought anything off of me in my last thread know that your packages went out today, and you should be expecting them shortly (except for you non-US folk; those take a little longer). Thank ya kindly for your purchases, and I should have more stuff on the way to sell! Ok, so I recently discovered I am secretly in love with one of the lovely trio deers: Cobalion. With that, I feel I need all the plush! 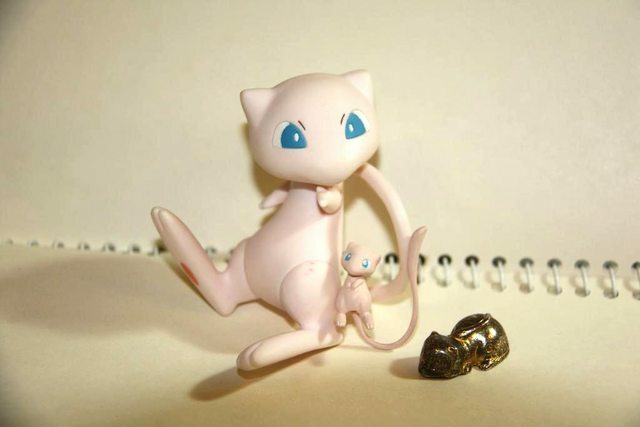 I have only the pokedoll normal size. 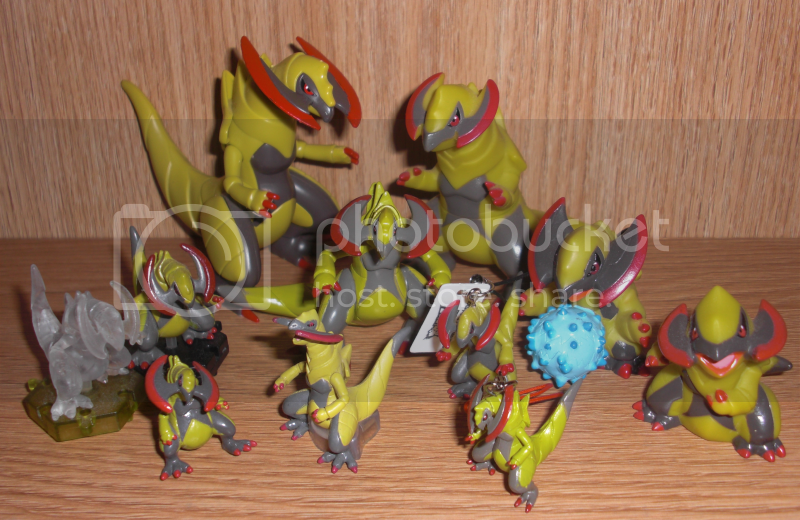 Might anyone have the little bigger then the huge cobalion plush? I would prefer mint with tag, but it is ok if there is no tag. I may also be interested in the zukan, tomy, and kid. I would prefer someone in USA so shipping isn't huge, but please let me know!! Also, the MPC GA is still in the SMJ warehouse. It should be arriving in the USA warehouse sometime this week. I'll be able to request shipping after this weekend, and then look forward to shipping totals once it arrives! Hey everyone! I've recently fallen in love with the Carddass series. dat old school Sugimori style. <3 I've looked on eBay, and I'm seeing single holographic cards for $15. If that's the regular going price for the cards, that's fine, but that does seem a little bit high. Are the carddass items grossly inflated on eBay like other Pokemon items, or is that a reasonable price? If that's a reasonable price for holographic cards, then what is the regular price for non-holo cards? I'm only interested in regular cards and I'd like to know the normal price for such a set. I'm not going to make a wanted post quite yet, as I'm not sure how much it would cost me and I don't want to back out of any deals. :s Anyways, if you have any information (and I'm sure you lovely people do), then please let me know! I'd love to add these beautiful cards to my collection soon! I'm not getting out of collecting yet. But a lot of things I kept because "that's cool" are starting to take up space. I need it gone! Pan Stickers, Pokemon TCG Online Code bundle, French Lenticular (evolving) cards, Eevee Evolution Card, Foam Standees, Coins, Dog tags and more! - Postage discounts for sales over $10! - Free postage on sales over $30! Looking for otters, weasels, foxes, cats, dragons, cows... and more! Hello, long time no see! I've been quiet for a while, but today I'm here with a want list! :> Sorry for a boring no-photos post! Recently, I've fallen in love with Oshawott and Dewott, and it would be awesome to get some plushies of them (Oshawott Pokedoll! and the 1:1 plush would be super nice, too... and Dewott Jakks plush). Figures, too, especially both Clipping figures! I've been thinking of getting custom-made plushies of some of my favourites that don't have an official plush (or only have one). That means Herdier, Miltank, Sneasel, Mawile, Breloom, Girafarig, Flygon and Purugly! If you're a plushmaker and are open for commissions at the moment, please let me know! I haven't followed the comm very closely so I'm out of the loop, haha. @___@ I prefer medium sized proportionate plushies (10" or so), not chibi or pokedoll styled. NEED! okay not need but really want? I just got a ton of zukan figures in the mail, and at the same time got a big bonus check at work. and everyone knows that money will just keep burning holes in my pockets until i get rid of it. so help me out here. I am looking for a bunch more zukans. Any zukan really. specifically grass and insect type for my project.